The French-Japanese Society of Oceanography is a 1901 model law association created in 1984 with a head office at the “Institut Océanographique” located at 195, rue Saint-Jacques in Paris (75005). It is twinned with the japanese learned society created in Japan in 1960. This latter is situated at 3-9-25 Ebisu, Shibuya-ku, 150-0013, Tokyo at the “Maison Franco-Japanese” created by Paul Claudel and the Viscount Shibuzawa Eichii in 1924. It is a foundation whose mission is the development of cultural exchanges between France and Japan. 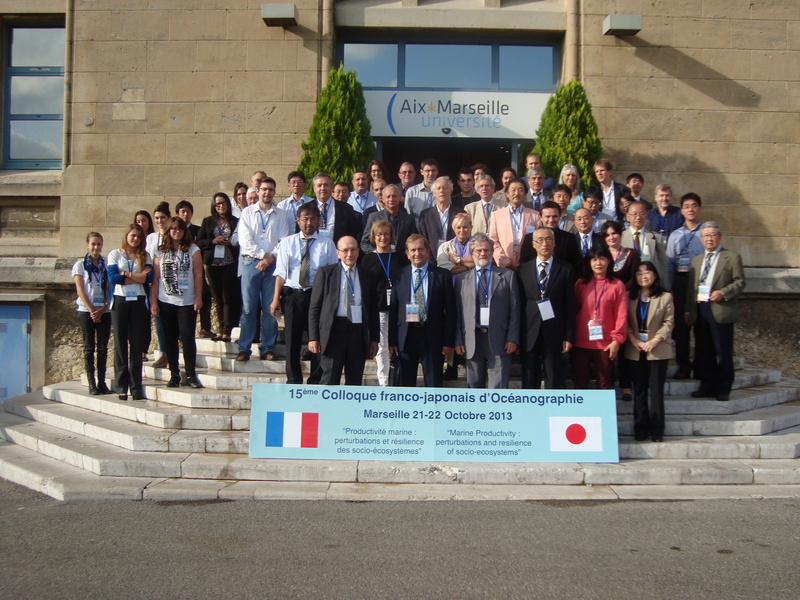 The object of the Franco-Japanese Society of Oceanography France as enshrined in its articles is to “contribute to improve relationship between the French and Japanese people concern by research, development and exploitation in ocean areas and ensure efficient cooperation with the Franco-Japanese Society of Oceanography Japan. ” This mission has not changed since. 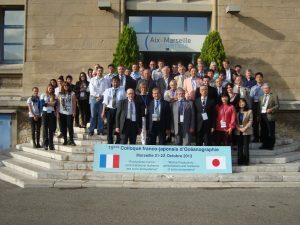 In 2010, during the Kobe International Exhibition , the 14th symposium on ” Towards Sustainable Use and Management of the Oceans ” . 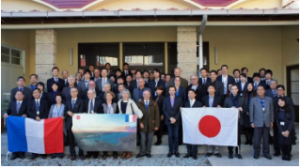 In 2013, the 15th symposium on “Marine Productivity : Disturbance and Resilience of Socio – Ecosystems ” with a major focus on the effects and impacts of the recent tsunami and the Fukushima accident on the environment. 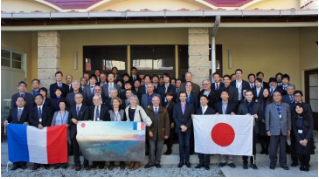 The last symposium held in November 2015 at Shiogama and Tokyo was on a still very broad theme : ” The sea under natural and human impacts : challenge to the future of Oceanography Earth” . “In 1960, the French oyster farming was severely affected by a disease that decimated gradually but quickly the whole production of Portuguese oysters. Oyster production could be gradually restored by importing Japanese oyster spat from the Sanriku region in northern Japan. Crédits photographiques : Nicole Prouzet, Patrick Prouzet, Hubert Ceccaldi, Sandrine Ruitton, Yasuyuki Koke, Yves Harache, SFJO Japon.